Set among the rugged mountains and sparkling waters of Lake George, you'll find romantic ceremony and wedding reception sites and honeymoon accommodations for every taste and budget, and for every size wedding. Exchange vows in a traditional church setting, on a cruise boat rocking gently in the middle of the lake or on a mountain top overlooking the beauty of the Adirondacks. For destination weddings and small intimate affairs, there are lovely inns, B&Bs and hotels that will happily accommodate your ceremony and reception needs, while providing you with all the privacy you desire. Planning a large wedding for 200 or more guests? Looking solely at outdoor reception sites? With one click, you can filter and sort to see just the ceremony and reception venues that fit your needs. In addition, discover a wide variety of local Lake George resources for all your wedding needs, including bridal attire, wedding planners, invitations, photographers and videographers, flowers, favors, gifts, guest accommodations and more. From planning bridal showers and rehearsal dinners to finding officiants and caterers, let the Lake George Wedding guide be your one stop bridal resource. Realize your dreams and begin your lifelong journey together with the perfect wedding, reception and honeymoon in Lake George NY. From country clubs and resorts to unique specialty venues and intimate inns, you can find everything you need to plan the wedding you've always dreamed of. Find exceptional wedding venues, professional vendors and advice you can trust from a Lake George wedding guide that's been serving the local bridal community for over 15 years. Plan your Lake George wedding in a location and setting that could easily be the most unique and beautiful in all the Adirondacks. Book a private charter wedding and you'll get the entire boat to yourself! 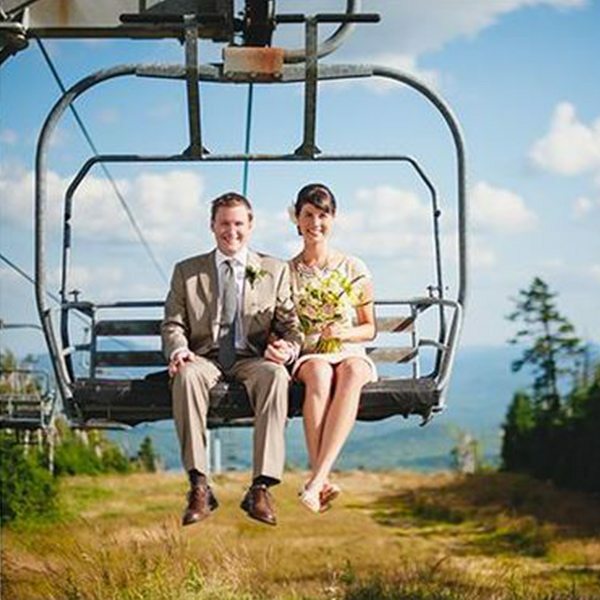 Exchange vows with views at Gore Mountain! The summit is perfect for stunning ceremonies, while the base area is an ideal reception venue. Your wedding photos will be picturesque, too!